Visit, ski, snowboard and stay at Timberline Lodge & Resort, one of Oregon’s top 3 destinations and National Historic Landmark, Timberline Lodge, est 1934. This Magnificent Lodge sits at 6,000 ft on the south south side of Mt. Hood, Oregon’s tallest volcano. Home to Timberline Ski Area this resort is North Americas only year round ski area. This magnificent lodge has been featured in movies such as “The Shinning” and is considered to be “Every ones year round playground” Experience Mt. 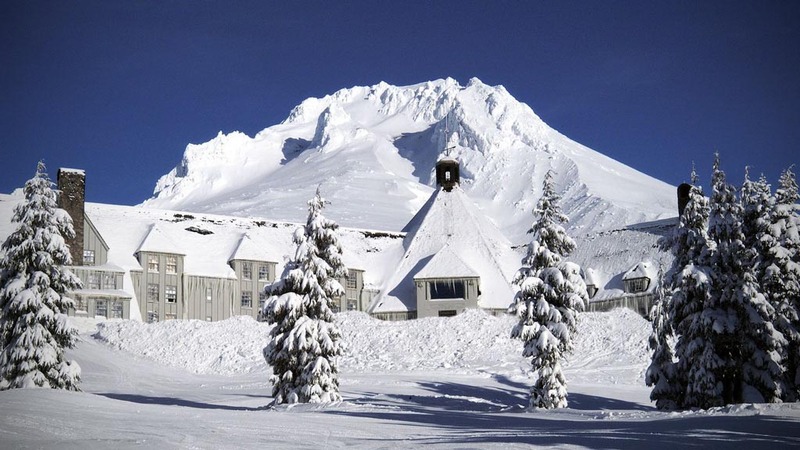 Hoods National Historic Landmark, Timberline Lodge, established in 1934. Sea to Summit operates custom equipped vehicles with extensive rack systems for gear, studded snow tires and the best 4×4 conversions on the market… These vehicles are specifically designed for the mountains winter driving conditions! Sea to Summit’s shuttles are comfortable, convenient and no matter what weather prevails, our specialized vehicles and experienced guides will safely get you to your winter destination!